Koi and goldfish are typically very hardy, robust fish and don’t often once become sick once they have settled into the pond. Occasionally, goldfish and koi disease occurs in ponds as fish fall prey to parasitic, bacterial or fungal attacks. The causes of fish diseases are varied and can range from a sudden drop in water temperature, predator attacks and spawning to name a few. No matter what the cause of the disease, one thing remains constant – the sooner you recognize and begin to treat the problem …the more likely you will be successful treating the disease. So how do you know if you have a sick fish? Sometimes the signs that a fish is sick are very subtle, such as one fish segregating itself away from other fish, or maybe not eating very much. As time passes and the disease gets worse, the symptoms become more obvious and may spread to other fish. Koi and goldfish are very hardy, resilient fish. In most cases, stress is the cause of most diseases in fish. Stress? Yes, but the stress that causes fish to get sick is usually in the form of poor water quality, overcrowding or other environmental factors. If koi or goldfish are kept in ideal conditions, they rarely get sick because they are able to fight off possible attacks from parasites or bacteria. There are several ‘early warning signs’ that indicate that your fish may be under attack from parasites or bacteria. The first sign of a problem usually starts with one fish that segregates itself from the rest of the school, often hanging listlessly near the surface of the water. If this fish doesn’t eat, it’s a sure sign that something isn’t right. Recognizing the first signs of disease is important because it can be controlled much more easily if it is caught early. Depending on the situation, disease can spread to many or all fish in the pond relatively quickly. It’s always a good idea to take count of your fish at feeding time and also take a close look them while they are close to the surface. The only way to properly identify parasites on fish is take a skin scrape and look at it under a microscope. 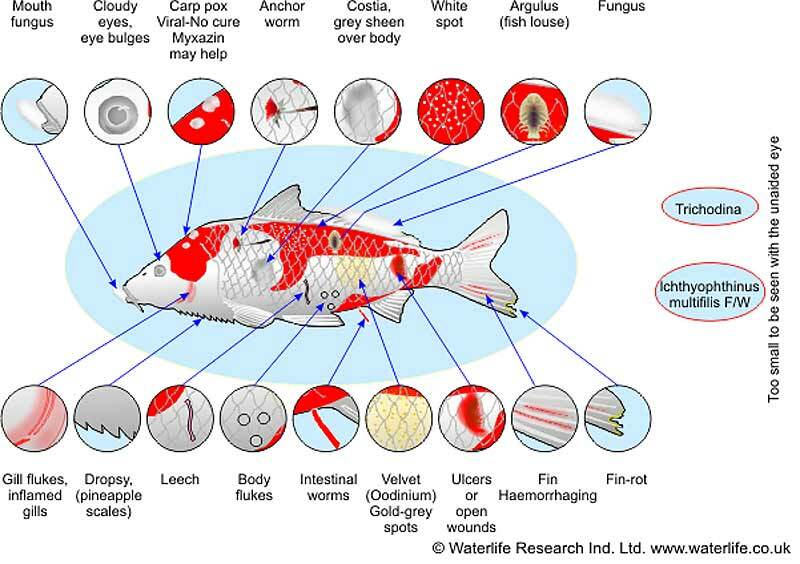 Most people don’t have microscopes, so the next best thing is to take a close look at your fish and try to compare the symptoms to the diagram below. If one of your koi or goldfish shows any of the symptoms listed above, then check the tables below to find the recommended medication and begin treatment as soon as possible. The first table deals with parasite symptoms and treatments, the second table deals with bacteria and fungal infections. If you have just one fish that is sick, you may want to set up a quarantine tub or hospital tank and treat only that fish. On the other hand, if you have several fish that are sick, treating the whole pond is advisable for best results. Of course, it is always better to try to keep your fish as healthy as possible at all times to reduce the chance of a disease outbreak. 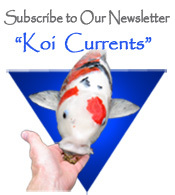 So how do you prevent koi disease? Most importantly – keep your pond environment pristine (poor water quality stresses fish and reduces their immune systems effectiveness). By maintaining optimal water quality, your fish will be healthy, their immune systems will be strong and the fish will be more able to fight off any potential disease threats. Maintain optimal water quality in your pond, poor water quality is probably the main cause of disease outbreaks. You can achieve this by not overcrowding your fish, installing an excellent filtration system and performing proper pond maintenance. Quarantine all new arrivals. 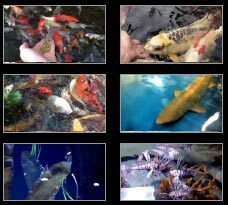 New fish, no matter how well the have been quarantined at the koi dealer may bring parasites into your pond. Read our Koi Quarantine Procedure article before adding new fish to your pond, this will greatly reduce the risk of introducing any new disease to your existing fish. Perform regular filter maintenance, water changes and water quality testing.